This content is provided by Edward F Petrosky. 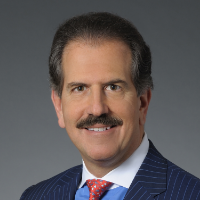 Ed Petrosky is a member of the firm’s Executive Committee, the co-chair of the firm’s Accounting and Finance Committee and the global chair of the firm’s Capital Markets group. Ed represents both issuers and underwriters in a wide variety of securities offerings and has extensive experience providing legal advice to clients under the Securities Act of 1933 and the Securities Exchange Act of 1934. Ed currently serves as company counsel and designated underwriters’ counsel for more than 25 companies, with a particular emphasis on REITs, financial institutions and energy and consumer companies. Ed’s practice focuses on IPOs, follow-on common stock offerings, preferred stock offerings, ATM programs, offerings of convertible and exchangeable securities and offerings of senior and subordinated debt securities, including retail and institutional MTN programs and CP programs. He has been involved in more than 330 offerings with an aggregate value in excess marketing of $170 billion since 2010.